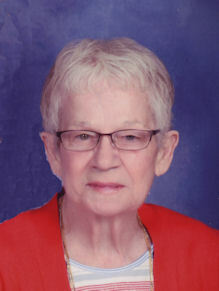 Florence S. Merrick (nee Stawicki), 86, of Lorain, died peacefully Wednesday March 20, 2019 at Mercy New Life Hospice Center of St. Joseph in Lorain. She was born May 12, 1932 in Lorain and had been a lifelong Lorain resident. Florence attended Nativity of the Blessed Virgin Mary School and graduated from Lorain High School with the class of 1950 B. She worked at Scott’s Five and Ten, Puritas Paper Products, TRW Nelson Stud, sold Avon cosmetics, was a teacher’s aide at Lakeview School and Palm Avenue Academy and worked at Jay’s Laundromat before retiring. She was a lifelong member of Nativity of the Blessed Virgin Mary Catholic Church in Lorain; member and past treasurer of the Nativity Altar & Rosary Society, served as a Eucharistic Minister, helped cook spaghetti for the Nativity Holy Name Society dinner and cook food for the Nativity St. Nicholas Day children’s luncheon. Florence loved to bowl and participated in many bowling leagues and was a Two-Time Winner of the Rebman Recreation Valentine’s Day Tournament. One of her greatest joys was her family especially her grandchildren. She enjoyed gardening. She is survived by her husband of 56 years Charles E. Merrick, children: Kenneth (Joann) Hemminger of Lorain, Diane (Jeffrey) Nowak of Elyria, Debra (David) Bright of Lorain and David Merrick of Akron; grandchildren: Sydney, Conor, Henry, David, Bryan and Jessica, great grandchildren Bryan and Landen and dog Charlie. She was preceded in death by her first husband Howard Hemminger in 1958, parents Casimir & Stella Stawicki (nee Brezinski), brothers Leo and Chet Stawicki and sisters Helen Godlaski, Lillian Weber and Irene McCartney.